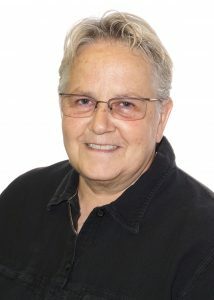 Mags is a Professional Genealogist specializing in Genetic Genealogy as a founder of Grandma’s Genes in Ottawa, Ontario, Canada. Growing up in a family full of family historians, Mags was primed to become a Genealogist. After earning her Bachelor’s Degree from Columbia College, she began to work her own Genealogy and Genetic Genealogy as a “hobby”. This 30 year “hobby” eventually led her to a Leader role with WikiTree where she currently leads The DNA Project, The US Southern Colonies Project, The United Empire Loyalist Project and the British Home Children Project. She also leads the Templeton and McElmoyle One Name Studies and The FamilyTree DNA WikiTree and McElmoyle DNA Projects. Mags is the Genetic Genealogist for the Canadian Casualty Recovery Team where she works to connect the remains of fallen soldiers from the first and second world wars and Korea with their living family. She is a member in good standing of the Association of Professional Genealogists, The International Society of Genetic Genealogy, The Ontario Chapter of the Association of Professional Genealogists, The Ontario Genealogical Association, The Ottawa Branch of the Ontario Genealogical Association and BIFHSGO – The British Isles Family History Society of Greater Ottawa. She is a Genetic Genealogy Lecturer, Blogger and a Social Media Maven serving as an admin for the several Facebook groups including the International Society of Genetic Genealogy Facebook Group.